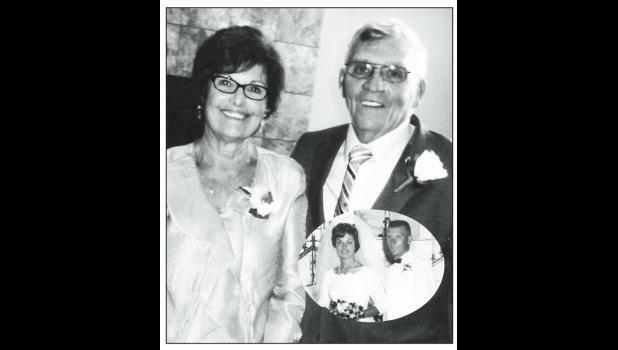 Joyce and Marvin Strube of Whiting will celebrate their 50th wedding anniversary on Sept. 5. They were married at Christ Lutheran Church in Wathena. Joyce is the daughter of the late Dorothy and Raymond Gaul of Troy. Marvin is the son of Mary Helen Strube of Horton and the late Martin Strube. The couple has two sons, Kevin and his wife, Angela, and Jeffery and his wife, Shawna. The couple was blessed with five grandchildren, Kasey and his wife, Audra; Korby, Katelin, Morgan and Jake. The couple plans to celebrate at a later date.